For Russell and his wife, Tonya, business has been good. The entrepreneurial pair took over the Pizza Dude’s original Pinconning location back in 2012 and recently opened their second location in the former Brick Oven restaurant in Midland. Similarly, when family health issues made it impossible to keep the Brick Oven’s doors open, the Russells once again stepped in—happy to keep another establishment open and to have a location in their hometown. “What makes Pizza Dude different is that we use a brick oven and pizza stones to cook our pizzas, not a conveyor system like most other pizza restaurants,” explains Russell. The restaurant uses as many ingredients as possible from local sources and makes every pizza, grinder, salad, and even French fry fresh in-house every day, grating the mozzarella cheese, crushing tomatoes for the pizza sauce, and seasoning the sausage. One of Pizza Dude’s claims to fame is the Bread Ring, a carryover from the restaurant’s days as the Brick Oven. It’s a ring of pizza dough that has been left to rise overnight and then coated in butter and Parmesan cheese as it bakes, resulting in a treat with an amazingly crusty outside and soft doughy inside that is perfect for dipping into the homemade pizza sauce. 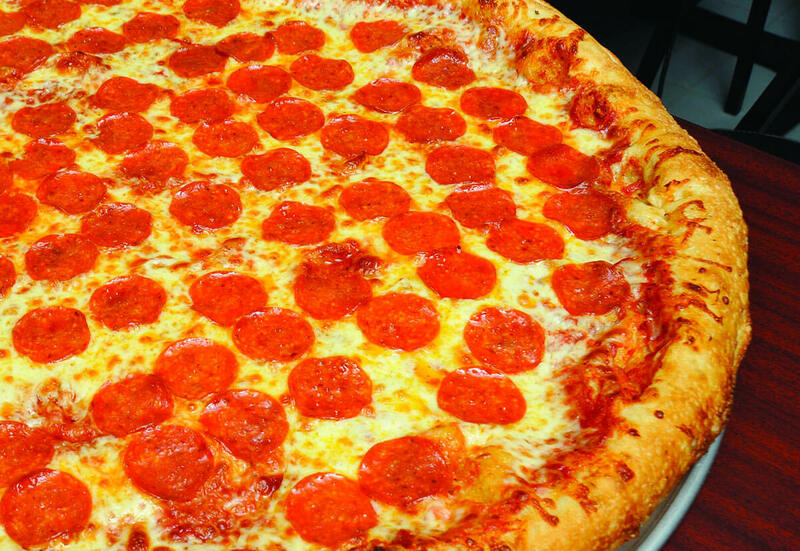 Pizza Dude, 4328 N Saginaw Rd, Midland, 989-486-9670, and 326 S Kaiser St, Pinconning, 989-879-3774, www.thepizzadude.net. Hours: Sunday – Thursday (11 a.m. – 10 p.m.) and Friday – Saturday (11 a.m. – 11 p.m.).